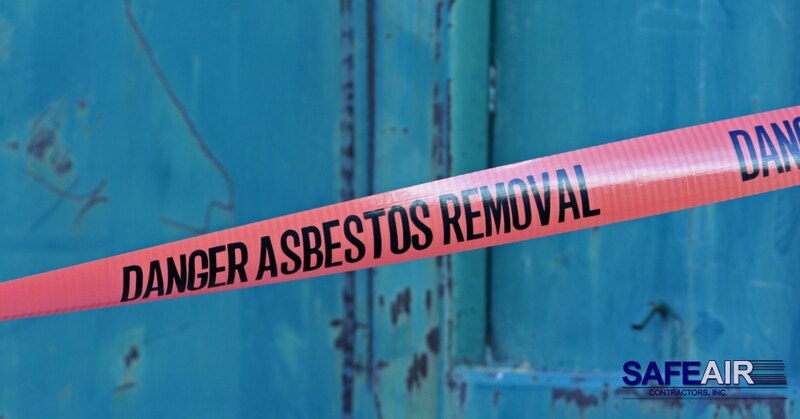 “Asbestos in my home” it’s a common search among homeowners who are worried about asbestos contamination and today we’re giving you the answers. Asbestos felt was used by builders as an underlayment for shingles. It was also sometimes the material they used in roofs that were built-up. Guttering may be made with asbestos-containing cement. It’s also possible for asbestos fibers to be transported into your home gutters if it was used in the construction of your roof. Loose blown-in insulation can sometimes contain asbestos fibers. The most common source of asbestos in blown-in insulation is vermiculite. Until the 1980’s, stucco that was used on the exterior of homes often contained asbestos fibers. Soffit boards were often made using asbestos cement board and asbestos cement board was most often made using Chrysotile – one of the six substances that are collectively referred to as asbestos. Not sure what soffit boards are? They’re the boards that sit on the underside of your roof’s overhang. Asbestos was often used in the backing and light fixtures of incandescent lights because it was fire and heat resistant. Asbestos was used in many acoustic tiles because of its ability to dampen sound and insulate. For the same reasons that it was used in incandescent lighting, asbestos was also used in the backing of recessed lighting. Stipple-coated or textured walls and ceilings – most particularly popcorn ceilings – are known for containing asbestos fibers which were added for texture as well as for durability and “hiding” any structural flaws in homes such as cracks in the ceiling. Both the logs used in artificial fireplaces and the ashes that are placed underneath them to give them a realistic appearance were often made using asbestos fibers. These materials glow when subjected to heat which is why they were used in artificial fireplaces. It’s resistance to heat and fire resistance is the reason that asbestos was used in hearth padding. Deck under-sheeting is used to support the structure of your deck. Asbestos was used in under-sheeting because it was tough and flexible. Cement board siding was made using asbestos because it was an economical and durable choice for construction materials. Asbestos was used in window putty because it was a durable material, strong, and fire/heat resistant. This is ideal for the putty used around windows in your home because it resists warping as a result of sun exposure. Asbestos can also be found in outlets and switches in your home where it was once again used for its heat resistance and resistance to fire. Downpipes can be made from asbestos-containing cement just like roof guttering is because it was a durable and affordable material. Both the adhesive used to stick down certain types of flooring and certain types of flooring like Linoleum and vinyl often contained asbestos. In these materials, asbestos contributed to durability which is important for flooring which quickly wears. Strength, durability, and it’s fire retardant nature meant that asbestos was also the perfect addition for other building materials too like the drywall used to put homes together, joint compound used to join drywall sections, and patching. The panel, fuse box, and fuse wires of your home may also contain asbestos. Asbestos was used in these items simply because of its heat resistance. Asbestos made a great option for boiler and furnace insulation too because it allowed for insulation of a boiler or furnace without the risk of fire or overheating. Asbestos was also used in the door and gasket covers on boilers and furnaces for durability and heat resistance. In the early 1900’s wiring insulation was filled with asbestos because it allowed for insulation without the risk of overheating or fire hazard. Newer homes rarely have this type of wiring problem, but older vintage homes can require complete rewiring due to older electrical systems. Furnace duct tape is exposed to heat on a regular basis so the heat resistant properties of asbestos made it the perfect material to use. Pipe insulation is used to protect pipes from extreme temperatures so insulation was the prime candidate for insulation because it could withstand heat. The heat reflector of your wood stove may also contain asbestos. Again, asbestos was used here because of its ability to resist heat while remaining functional. “Asbestos in My Home” Got You Down? 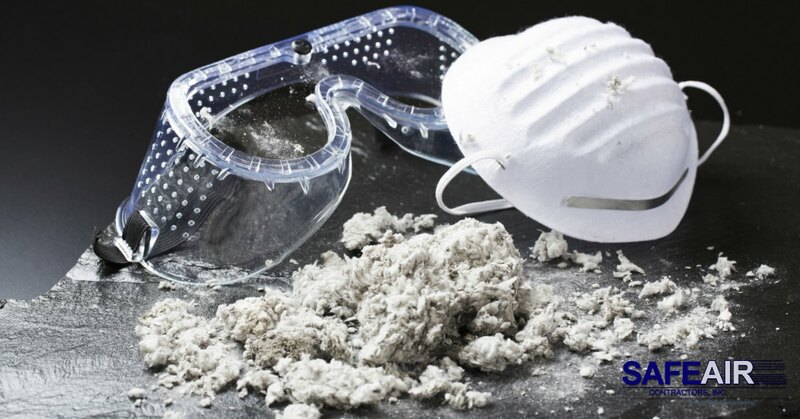 If you’re facing asbestos in your home and need a professional asbestos abatement company to help with removal in Ohio or Western Pennsylvania, SafeAir Inc can help. Just pick up the phone and give us a call today at 440-639-1191 and tell us more about your needs. Environmental Services in Ohio: Why They’re So Important!